Noise reduction by lining HVAC ducts and reducing the sound transmission between lining spaces, as well as from outside the building. Also known as blanket insulation, batts and rolls insulation is ideal for spaces that are free of obstructions. It sort of resembles a blanket and is laid out flat and fitted between joists, studs, and beams. Blanket insulation can be used for floors, ceilings, and unfinished walls. This type of insulation is typically used by builders and not for re-insulating a home. Usually made out of polyurethane, rigid board insulation is ideal for new construction projects, particularly unfinished walls and unvented roofs. Typically installed in attic ceilings under the roof, reflective insulation works like it sounds. It helps your home reflect heat from the sun rather than absorb it. Reflective insulation, whether foil-faced kraft paper, plastic film, polyethylene bubbles, or cardboard, is fitted between studs, joists, and beams. 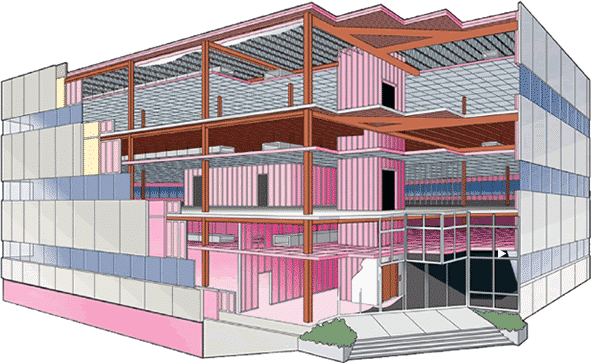 Fiberglass insulation is made out of tiny fibers of glass that trap hot air – it’s the fluffy pink insulation you’ve undoubtedly seen before. Fiberglass insulation can be either blown-in / loose-fill or a blanket system. Great for all different types of areas, from the attic to the exterior walls. One of the most environmentally friendly types of insulation on the market, cellulose is made of up to 80 percent recycled material, mostly tiny bits of newspaper. Like fiberglass, cellulose insulation works well in all types of areas and is ideal for soundproofing. Radiant barrier insulation is installed in the attic and is a common type of reflective insulation. It keeps your home more comfortable when it’s hot outside. In fact, homes with radiant barrier insulation are about 10 degrees cooler than homes with no attic insulation! Rigid board is available as a foam panel that can be cut, and the panels vary in thickness and width. Rigid board insulation is usually installed in new homes and can help maximize energy efficiency. Our pricing is very affordable for unbeaten quality work. 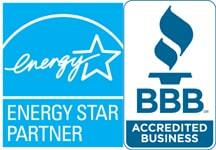 Call us for your FREE estimate.